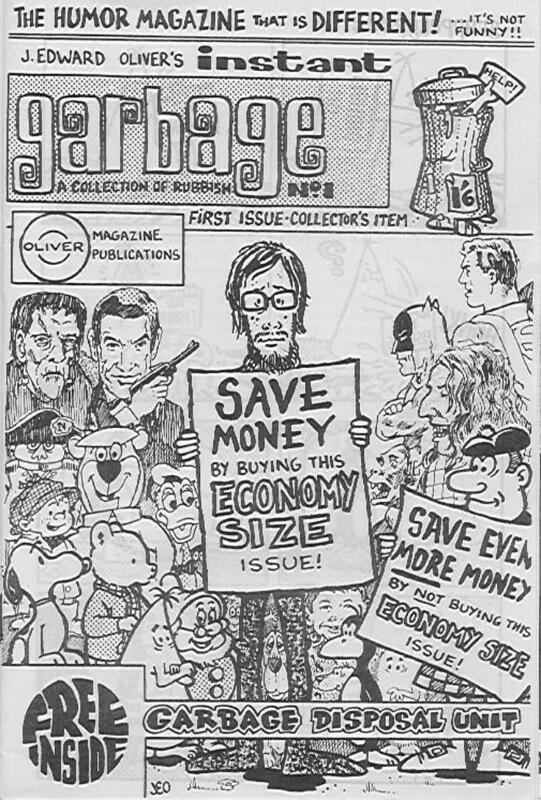 However, Instant Garbage pre-dates E C Ryder by nearly two years, being a full-colour humour magazine ("that is different") produced by JEO in October 1968. It sold for the price of 1/6 (7 and a half pence) and contained 16 pages of drawings and writings, plus a horror supplement Gruesome Magazine No 1. 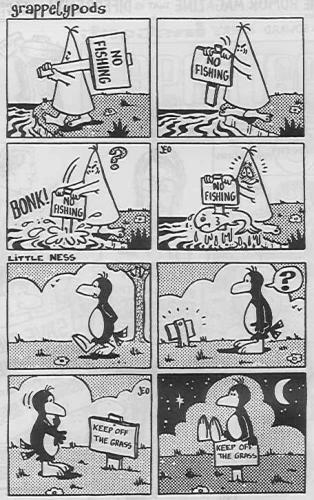 Some of the characters, and indeed some of the jokes, may seem familiar. Free with the magazine was a genuine garbage disposal unit for every reader, plus a competition to win a car (Morris Mini De Luxe) for just two shillings (10p). JEO told me that it was this piece of work that got him the original column in Disc. This magazine is now a collector's item.